The European Organization for Nuclear Research, aka CERN, has a wonderful summer school, and provides local support for eight and 12-week schools. Students must fund their own flight, or find external support; no stipend is offered (but all meals, etc. are covered). Read about Badisa Mosesane’s (U-Botswana) experience in 2017. The deadline for summer 2018 was Jan. 28. Keep an eye on the site for next year. The University of Michigan – CERN Summer Research Experience for Undergraduates Program (UM-CERN REU) provides a stipend, per diem, and travel for selected students (this might be more appealing to students who need the stipend). Michigan State University offers a National Science Foundation (NSF) Research Experience for Undergrads (REU) program called “Advanced Computational Research Experiences for Students,” or ACRES. It’s a paid, 10-week summer research experience in computational and data science that focuses on the development and enhancement of algorithms, models and software for applications in research areas that require HPC. Summer 2018 programs include: computational chemistry, computational biology, biomechanics, computational physics, astrophysics, computational mathematics, machine learning, materials science, earth science (seismology) and neuroscience. The deadline has passed for this year, but watch the site for future opportunities. Microsoft’s 2018 AI Residency Program; Region: Europe Africa Middle East (EMEA), North America. BSc, MSc, and PhD graduates with substantial coursework in, but not limited to: computer science, electrical engineering, data science, mathematics, physics, economics, human-computer interaction, and computational biology. There are additional prerequisites. The deadline has passed for this year, but watch the site for future opportunities. National Center for Atmospheric Research “SIParCS” – is a paid summer internship program for undergrad and grad scholars. Interns receive a stipend plus housing support (this could change from year-to-year, project-to-project). 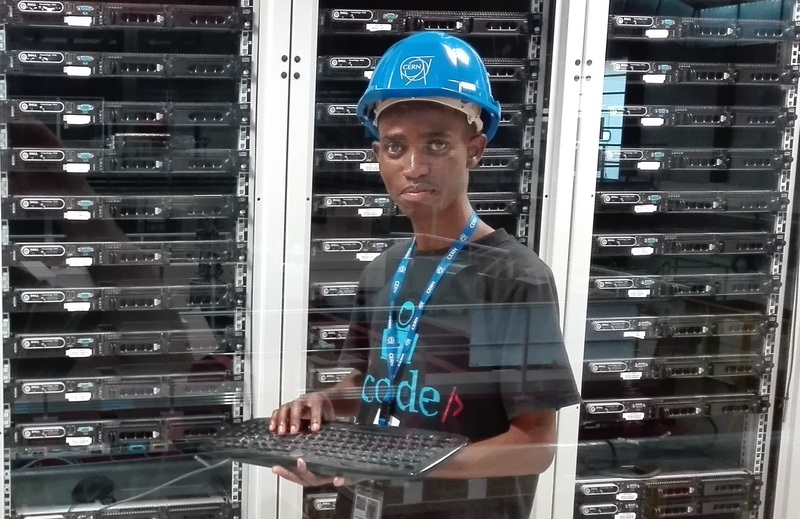 Interns engage with a variety of tasks: most involve programming and statistics, but some would interest a future HPC sysadmin. The deadline has passed for this year, but watch the site for future opportunities. NCSA: Cyberinfrastructure Professional Intern Program (CIP). NCSA: The INCLUSION (Incubating a New Community of Leaders Using Software, Inclusion, Innovation, Interdisciplinary and OpeN-Science) program is a ten-week software-in-research training experience conducted at the University of Illinois campus in Urbana, Illinois-U.S. INCLUSION participants are guided by pairs of mentors, and work with open-source software to develop socially-impactful solutions. Notre Dame University has two computation-centric NSF funded REU summer internship programs. It should be noted that paid opportunities for computational social scientists are harder to come by than paid internships for students in the physical sciences. The deadline has passed for this year, but watch the site for future opportunities. Purdue’s Network for Computational Nanotechnology Summer Undergraduate Research Fellowships seeks enthusiastic and qualified students with a strong background in engineering, math, computer science, chemistry or physics who can code in at least one language (such as Python, C++, or MATLAB) for our summer research projects. Applicants should have completed their 3rd year by the end of Spring 2018. There are 20 research projects to select from, in several engineering or science areas. In addition to their research, students will be part of the NCN cohort and participate in numerous social and professional development activities that include scientific communication workshops, mentee-training activities, a nanoHUB software boot camp, a poster session and end of summer symposium. The deadline has passed for this year, but watch the site for future opportunities. South Dakota State University REU Summer 2018 Internship for undergrads; The deadline has passed for this year, but watch the site for future opportunities. University of Tennessee, Joint Institute for Computational Sciences Summer REU. This program accepts applications from US citizens and permanent residents only. Each student accepted by the program receives a stipend of $500 per week. In addition, students may receive $250/per week for housing/subsistence, if necessary, a travel stipend of up to $800. Applications are due March 15, 2018. University of Virginia hosts a summer programming school and internship program sponsored by the U.S. National Aeronautics and Space Administration (NASA), Advanced Computing for Earth Sciences. It is open to upper-division undergraduates as well as graduate students. The deadline has passed for this year, but watch the site for future opportunities. XSEDE Empower is for undergrad students at US universities who participate in a three-tiered, progressive internship experience (learner, apprentice, and intern). Students must be matched with a professional mentor who works for an XSEDE institution. Stipends are granted that vary in size depending on the number of hours committed.